Description: Rugged and reliable, the 535 ATS is the ultimate, all-around pump gun, loaded with features usually found on shotguns costing much more, all built into a lightweight design that's easy to carry into the field. That's good, when you figure all you'll be carrying out. 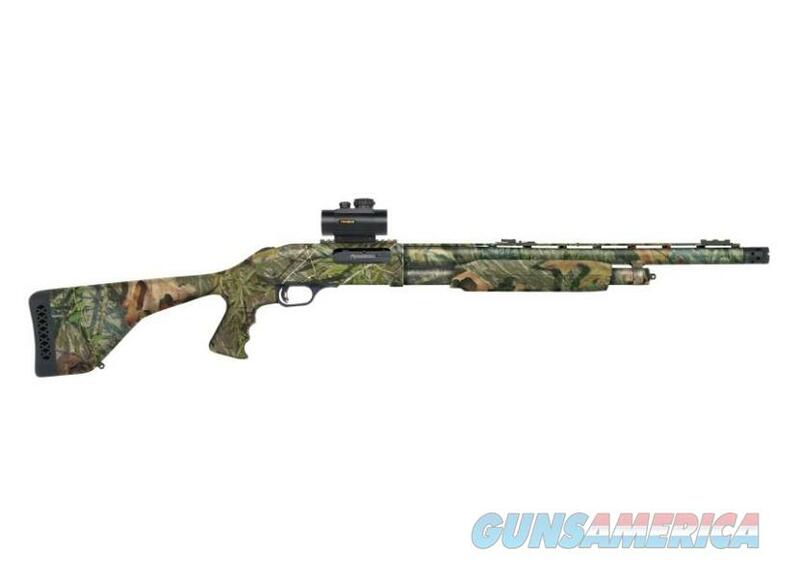 This model features Mossy Oak Obsession camo on the entire firearm, also included is a TruGlo Red-Dot Scope and web style sling.